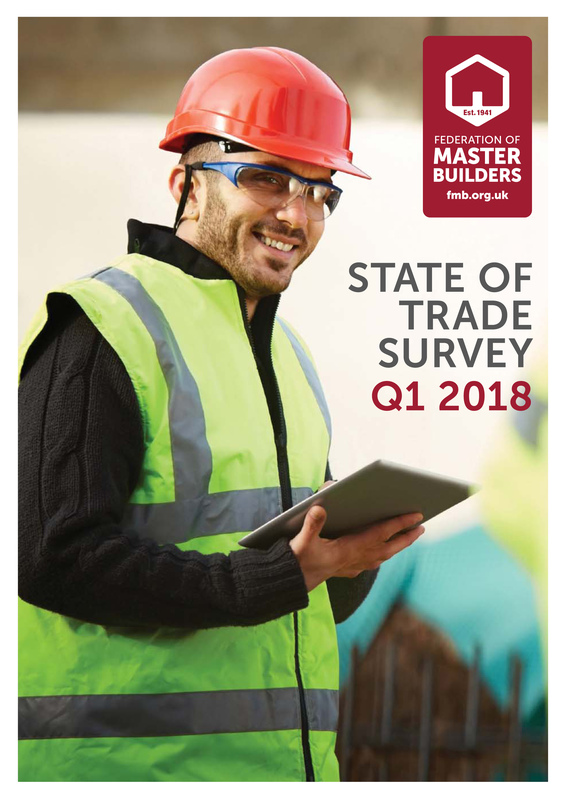 The workloads of SME construction firms grew slightly in the first three months of this year despite record numbers of builders reporting rising material prices, according to the Federation of Master Builders (FMB). Two-thirds (66%) of construction SMEs expect salaries and wages to increase during the next six months, up from 62% in the previous quarter. Brian Berry, Chief Executive of the FMB, said: “Workloads for builders continued to grow in the first quarter of 2018 despite the ‘Beast from the East’ wreaking havoc across the UK’s construction sites. “However, once again, the growth we are seeing is slower than in the previous three months and this can be partly attributed to pressure from rising costs. Indeed, 90% of builders reported increasing material prices in the first three months of 2018 and this is the highest reading on record. Insulation, bricks and timber are the materials that have increased the most and builders are predicting that these price increases will continue.